How are you today? I would like to share a card with you. It isn't a new card, I created it two weeks ago, but I didn't show it here yet. Actually, I couldn't create any card for a week now, because I had an accident and my leg has to be as high as possible and I may not walk. My background on this card was inspired by a card that Birka created. She used a sentiment to create her background and so did I.
I used the Cool Day stamp set by My Favorite Things. I used two different colors to stamp my background. 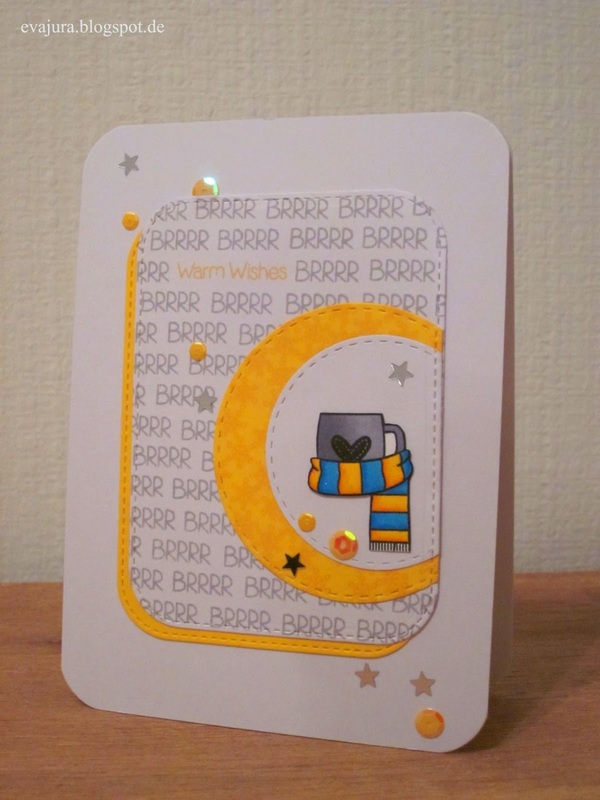 At first, I stamped the Brrr sentiment in grey and added the Warm Wishes sentiment in yellow. The cup and the scarf are stamped with Memento Tuxedo black ink and colored with Copics. These images have a matching dies, but since the scarf is around a polar bear, I had to fussy cut them using my scissors. Did you know that MFT has a new release with awesome winter and Christmas theme? You have to check it on their blog. Cute design, Eva! Those bright colors warm me up just looking at them! 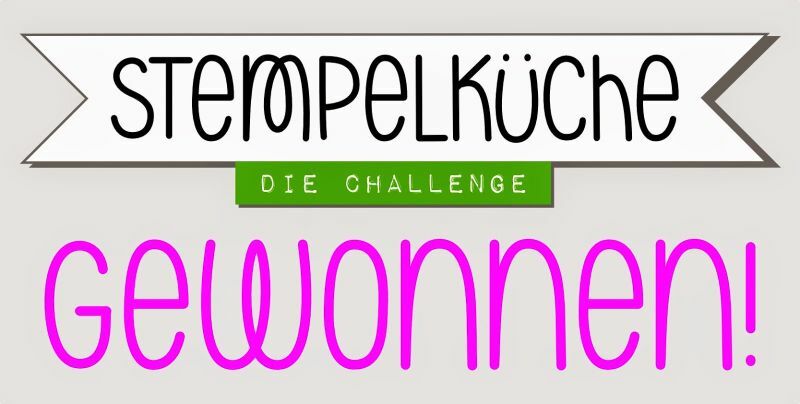 Thanks for joining us this week at the Simon Says Stamp Wednesday challenge!